Hi, everyone! 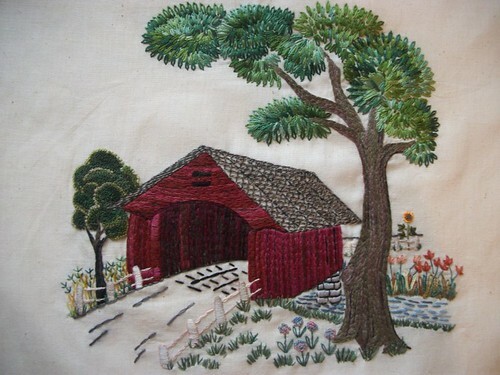 Just stopping by for my monthly round-up post for the New Embroidery with Vintage Patterns group on Flickr. This month my post is extra special (at least to me!) because NEwVP hosted a contest with tons of terrific prizes! The contest ran from June 20 - July 20. There were 3 different categories a stitcher could enter. 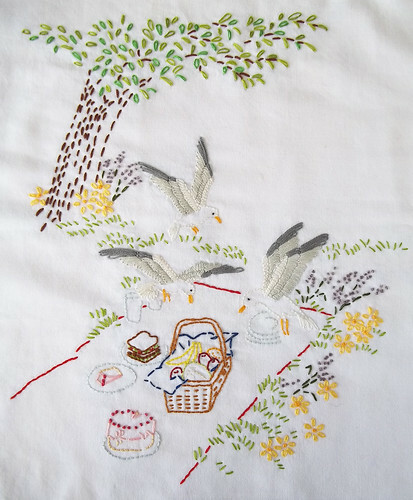 I invite y'all to take a peek in the contest photo galleries: (1) modified pattern, (2) one pattern, many stitchers, and (3) summer theme. I know the judges had such a difficult time choosing just 1 winner from each of the 3 categories. 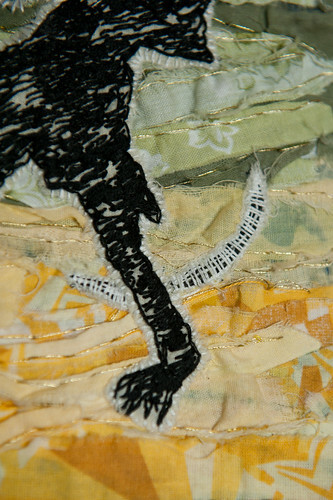 There are some seriously talented stitchers out there in Flickr-land! From these 3 category winners, 1 grand prize winner will be chosen. And although the online poll to choose the grand prize winner was created on Wednesday, July 25, there is still time for you to cast your vote for the grand prize winner so please CLICK HERE to vote. The online poll will be closed sometime between 3pm - 5pm EST on Sunday, July 29. The grand prize winner (and 8 door prize winners!) will be announced in the NEwVP group on Monday, July 30.... so definitely stop by our group to hear all the news! Thanks again to all who joined our group to either participate or just watch the contest festivities -- we had nearly 150 new members join! 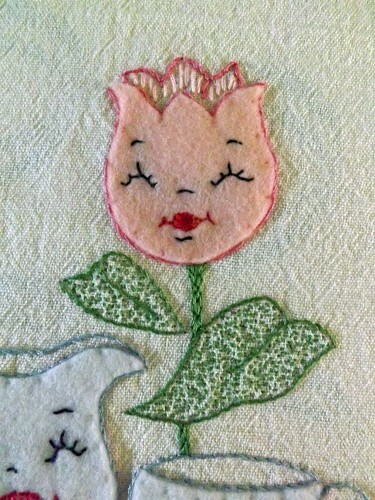 I invite everyone to join our NEwVP group as all the details for the August Stitch along have been posted! 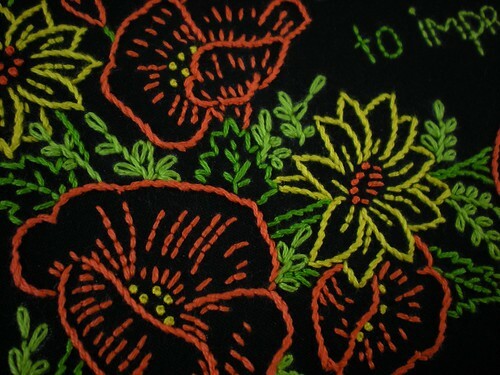 Of course, any photos of new embroidery with vintage patterns are welcome to be shared at anytime! Keep an eye out for my next "round-up" post on Saturday, August 25. 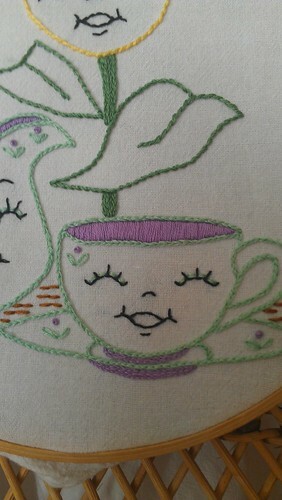 This upcoming Feeling Stitchy post will feature our NEwVP August stitch-along. I'm going to try a different format and provide different kinds of information so I hope y'all will like it! 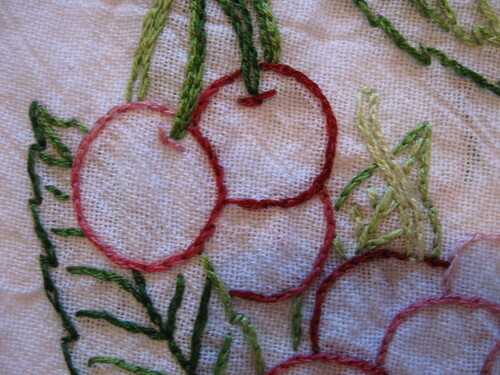 Happy stitching everyone! There is such a great variety! 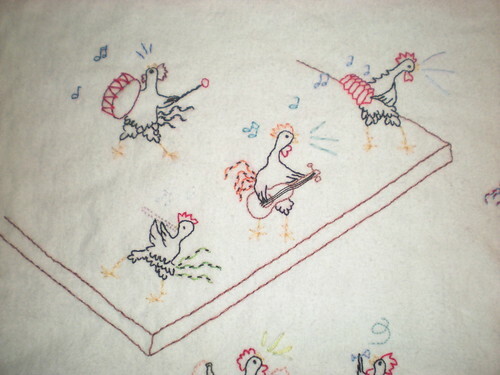 Patterns: Mythical, Magical & Oh so Cuteness!